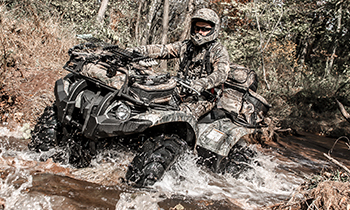 Match your truck toolbox to your UTV with the new UTV Utility Box from QuadBoss. Made from aluminum diamond plate, it will take a beating on the trail while protecting everything inside. 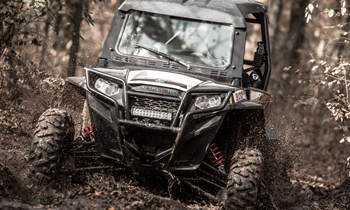 QuadBoss, a leading manufacturer of high-quality ATV and UTV parts and accessories, is proud to announce the addition of this great storage option to their product line. “The aluminum diamond plate pattern is extremely popular on truck toolboxes. 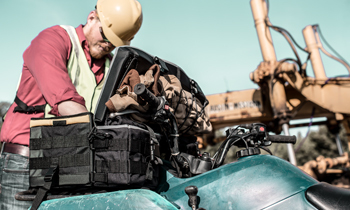 The QuadBoss Utility box is a lightweight, durable option for consumers who need something to carry their tools. It's a one-piece tub and lid combo that support heavy loads, absorb tool drops and prevents leaks. It's a great option for giving your ride some extra room while keeping your items secure," says Sheila Bradbury, Sales and Marketing Specialist for QuadBoss. The USA made Utility Box features a patented, hydraulic, foam filled lid that will not bend or warp. Opening the box from either side is easy with the dual latch system that gives you the ability to lock up your belongings. It features micro seal stripping to keep out moisture, dust and grime. There are also pre-drilled holes for simple installation. The QuadBoss Utility Box (P/N 157178) retails for $369.99. Vehicle specific Utility Box Mounts (P/Ns 157179 through 157183) are also available and retail from $9.99 to $49.99. The Utility Box and mounting kits can be ordered through your local Tucker Rocky | Biker’s Choice dealer.